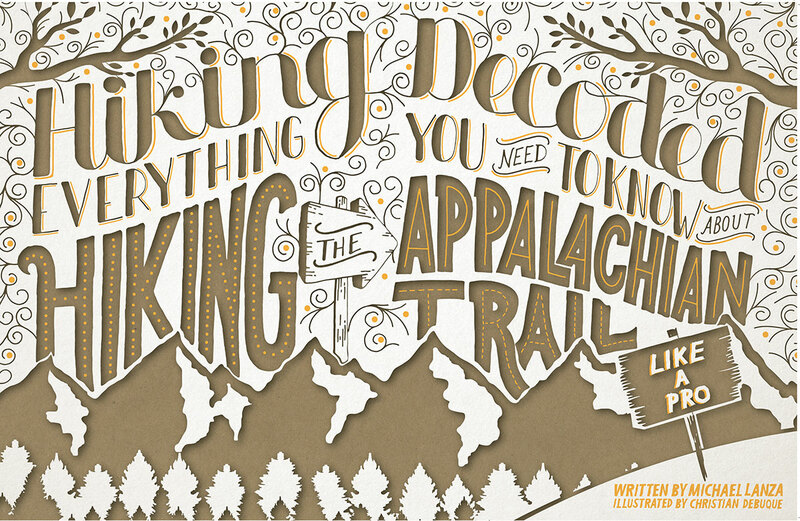 Created as an entry for the Society of Publication Designers' 2017 student design competition, this two-page spread served as a guide to hiking the longest trail along the east coast — the Appalachian Trail. 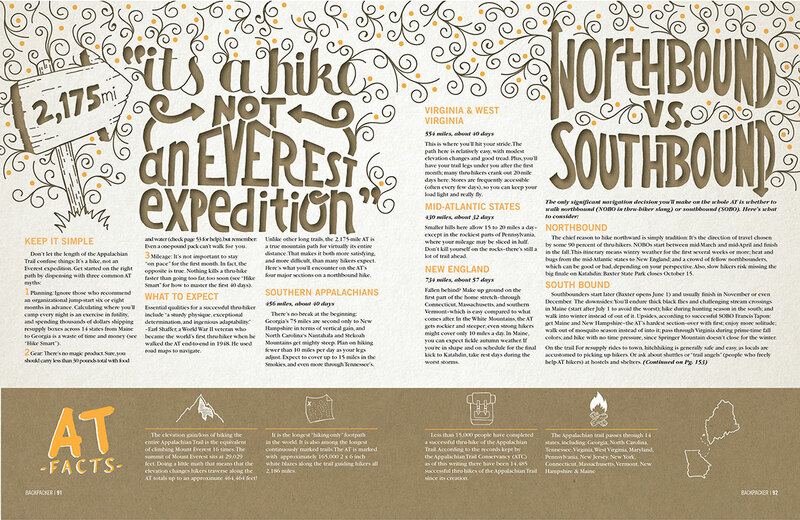 The interconnected hand typography between each spread mirrored the complexity of the trail. 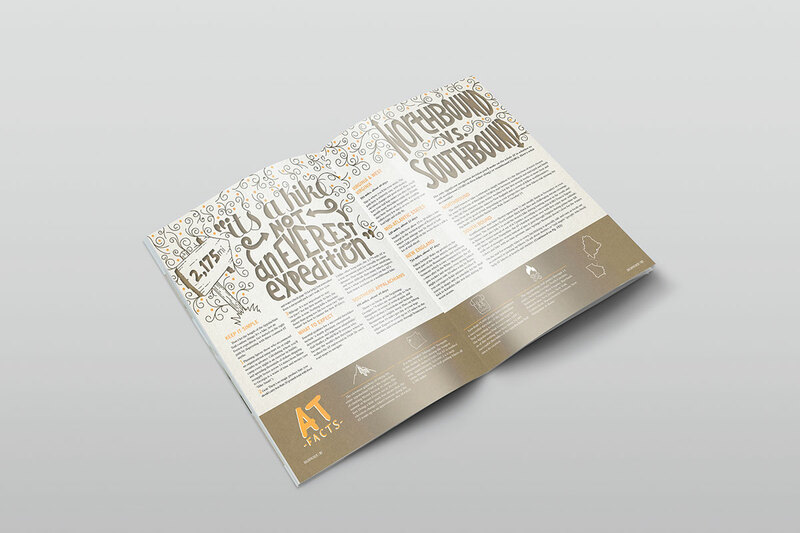 The cut-paper effect and craft paper texture also helped tie the subject matter in with each pull-quote and sidebar. 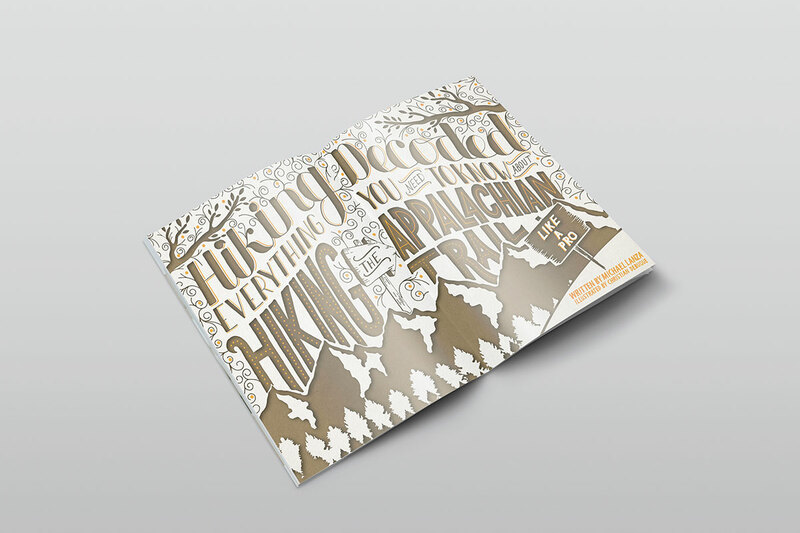 The harmony of the subject matter and design elements are what helped earn this spread a gold medal at SPD's 2017 student design competition.